New York Times best-selling author Carl Hiaasen teamed up with journalist Bill Montalbano for this gripping thriller. 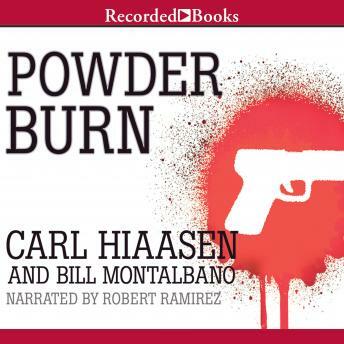 Powder Burn stars Chris Meadows, a successful Miami architect who's leaving a meeting with an ex-girlfriend when he sees a car strike his ex, killing her. But the nightmare is only just beginning. As a witness to the crime, Chris knows the car's passengers-thugs linked to Miami's deadliest drug lords-are sure to come after him next. But what can he do if the police refuse to give him protection?